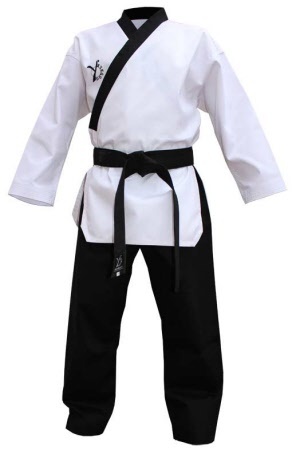 Poomsae Taekwondo uniform for Male, black belts. White breasted jacket with Y black collar. Black pant, ample cut, with elastic waist and draw string. 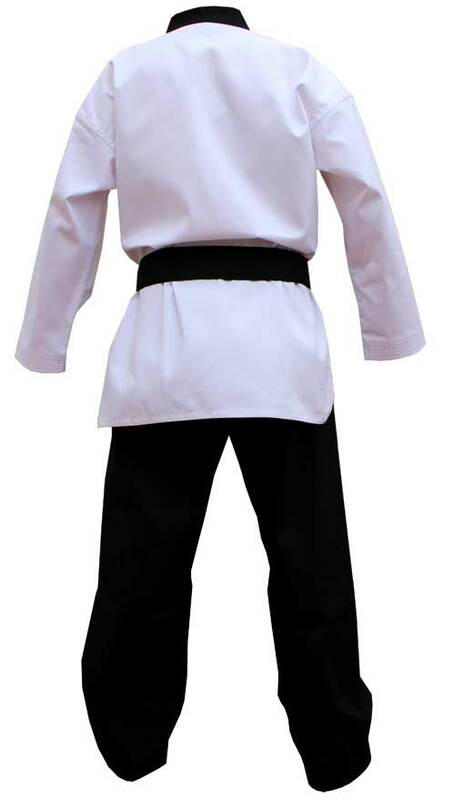 High quality dobok with a very qualitative fallen.